Make this Valentine’s Day truly memorable for that special someone. 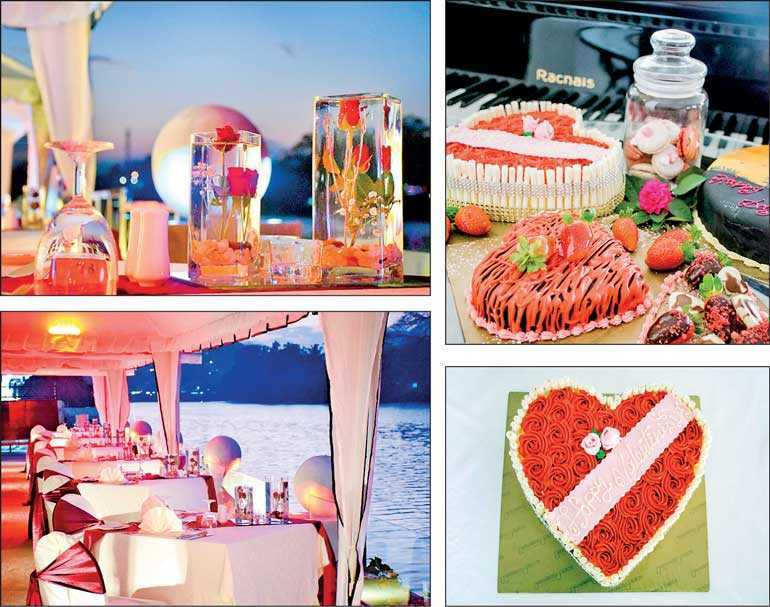 Treat your Valentine to an enchanting six-course candle-lit dinner on 14 February at the Gangula Terrace by the flowing waters of the Mahaweli River, serenaded by their musicians. Sparkling wine and complimentary gifts with red roses for the ladies makes this event even more exceptional. This exclusive event has very limited seating. For reservations please call 081 2472727 early to avoid disappointment. During this month of romance, pamper yourself and your partner with a soothing Couples Massage at Spa Ceylon, the luxury Spa in Kandy! A sensual, relaxing massage is all you need to spice up your love life. The special treatments at the Spa Ceylon Luxury Spa will rejuvenate the body and spirit. Call 081 2472727 for reservations. Sweeten your Valentine’s Day with our special edition cakes, chocolates, cookies and macarons in different delicious flavours. Delight your loved ones with these delicacies or simply indulge. This Valentine’s season, Mahaweli Reach is offering more chances of getting one of these special edition Valentine’s Cakes for free when you buy their coffee of the month at Café M. Purchase a truly delicious Goldie Latte from Café M on Peradeniya Road and fill in the ‘Love Puzzle’, take a selfie and tag them on Facebook when you share the selfie. Visit Café M from 11 to 18 February to try their Coffee of the Month and enjoy a Red Velvet Bonanza as they are giving a free Red Velvet Cupcake with every Coffee of the Month, to create a yummy combination that will tease your taste buds. To truly impress your Valentine and have an unforgettable experience, participate in their Facebook competition to win two Cinnamon Air tickets! Visit their Facebook page www.facebook.com/MahaweliReachHotel to learn more about this easy peasy competition and fly away with free air tickets to mesmerise your beloved Valentine. Let that special person know you are thinking of them with a bespoke bunch of fresh flowers from Leaves & Petals...the ultimate florist in Kandy. So, are you in the mood for romance? If you are, please call them on 081 2472727. Plan it together to surprise and impress your loved one!